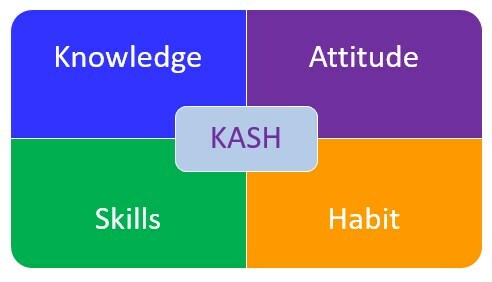 KASH is an acronym for Knowledge, Abilities, Skills, and Habits. All four directly affect the performance of an individual as well as an organization. Knowledge is the condition of being aware of something. It encompasses the cognitive or mental abilities to retain and process information. Knowledge is a foundation for the competence and successful performance of a person. It consists of facts, concepts, as well as the understanding and application of information. A person’s knowledge is the sum of his or her learning acquired over a period of time. It is acquired through education, training, and experience. By acquiring knowledge, a person’s level of intelligence and ability to understand various concepts improves. In other words, the more a person learns the more they know, and the more they can apply to future learning. Knowledge of the facts and concepts form the foundation for the ability to apply the skills to perform a specific task. Essentially, a person gains the basic knowledge of how to do something before they attempt the task. For example, a person would need to learn the steps involved in sending an email (knowledge) before they actually perform the task of sending the email (skill). Attitude is a way of thinking or feeling about someone or something. It includes the manner in which a person may deal with things emotionally. It is often reflected in a person’s behavior. A person’s attitude affects feelings, values, appreciation, and motivation towards something. Hence, a person’s attitude towards a given task influences their performance. A person’s thoughts drive their actions, and their actions impact performance. A positive attitude will help to motivate a person to give their best and try to maximize performance. Attitude is one of the most important factors of learning because while knowledge and skills give a person potential, attitude is what determines their level of performance. This is because attitude controls a person’s level of motivation. If a person has a positive attitude towards a subject or topic, he or she will likely be more motivated and put more effort into learning that topic or developing the skill. Contrary, if a person is not motivated, no matter how much knowledge or skill they possess, they will not perform well. Development or adjustment of a person’s attitude may take a considerable amount of time and effort. It is often not easy to change a person’s attitude after it has been formed for a significant amount of time. Additionally, it is difficult to measure a person’s feeling towards and perception about something. It is even more difficult to measure how much change occurred in a person’s attitude as a result of training or educational activities. Skills are a person’s ability to perform an activity or task. It includes physical movement, coordination, dexterity, and the application of knowledge. 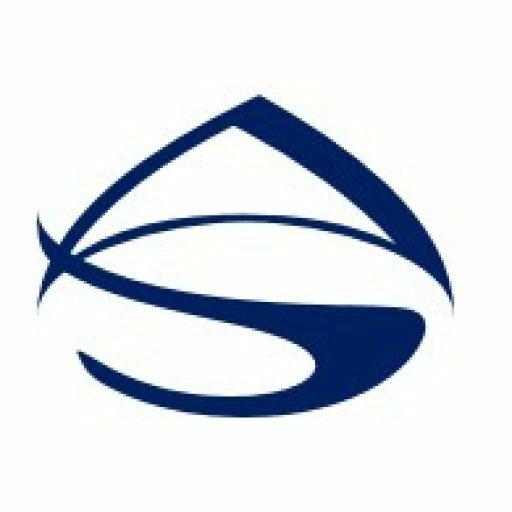 Skills are measured in terms of speed, precision, proficiency, and/or technique. An individual’s skillsets are partly founded in his or her natural abilities. However, competency and proficiency in the execution of skills requires practice, experience, and training. The more a person correctly practices a specific skill, the better they become. Skills are competencies that have been learned through the transfer of knowledge, and made proficient through practice. Typically, a person acquires the knowledge of how to perform a task and then begins to physically perform the task. Skills are different from knowledge because knowledge is a prerequisite to skills. You must have the knowledge about how to perform the task before you attempt to perform the task. For example, a person would typically learn the steps involved in sending an email (knowledge), and then physically send the email (skill). Skills can fall into various categories including technical skills, interpersonal skills, communication skills, organizational skills, analytical skills, and presentation skills. Effective execution of these skills will help individuals in their performance. Habits are those aspects of a person’s behavior that are repeatedly and consistently done without effort or conscious thought. It is something that a person does often and becomes a dominant disposition or tendency. A habit is not something a person learns, but rather something they create. They learn an action or task then repeat that learned action until a habit is created. Excellent performance is a result of doing the appropriate and most effective actions repeatedly. The skills repeatedly practiced correctly eventually develop into habits. And good habits drive good performance. Habits take time to develop, but are usually difficult to break. Therefore, it is important to develop good habits from the beginning, because if a person develops a bad habit, it will be difficult to correct. Good habits may include effective organization skills such are making checklists, checking email regularly, or using a calendar.